There’s something special about the original color scheme of the 15 balls on any pool table - but over time, especially if you play pool a lot, you’re looking for some variation. 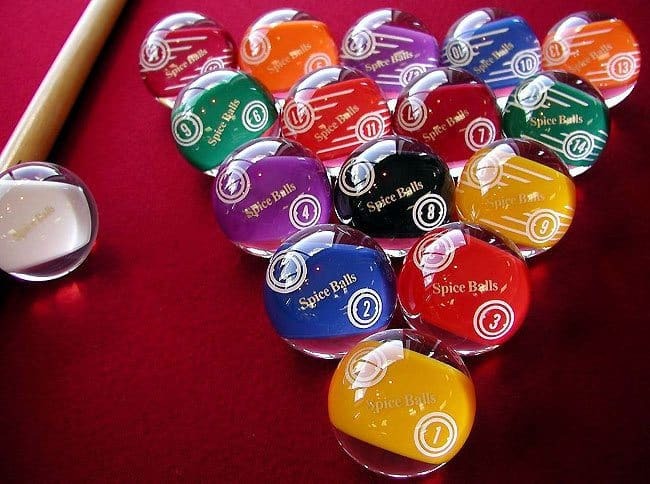 Many players turn to custom pool balls from reliable manufacturers for a precise shot with balls they love using. Of course, you don’t need to get custom pool balls - and you can probably even use the ones that came with your table. But serious pool players will want something more personalized, and that’s where custom pool balls come in. Most manufacturers will give you two options when customizing - you can either use your own images, or you can type words/phrases as you please. This cue ball is specially designed to be a hit on the tables. In general, the image you choose will be placed on just one part of the round pool ball - it’s much more expensive if you want a design over the entirety of each ball because that requires complex machinery and more ink. If you’re using text on your custom set of pool balls, we’d highly recommend going with a manufacturer who lets you choose from a few different fonts, or, even better, one who lets you upload your own font. Even if a word or phrase has special significance to you, it won’t look great if it’s displayed in Times New Roman. Often times, you can call the printers for custom font requests and they’ll be more than happy to oblige (for a small fee, of course). Some manufacturers will give you previews of your balls (so you can see what they’ll look like before you order), and some will even let you get just one ball as a sample (for an increased price) so you can see how your custom balls look before you commit to a full order. The types of custom balls above deal with you adding your own elements, but plenty of manufacturers have customized pool tables ready for immediate purchase, too. For example, some licensed manufacturers will be able to sell you ones with the logo of your favorite team. Some even have the players’ numbers on the back of the ball with the logo on the front! Others will be just logos, sometimes for pool table brands, professional players, etc. These can be great if you’re trying to make your table look coordinated - for example, a set of Olhausen balls with an Olhausen pool table looks really good. You can get the custom NFL pool ball set pictured here on Amazon, click here.​ In case your wondering, they do have all 32 NFL teams, pool ball set available. 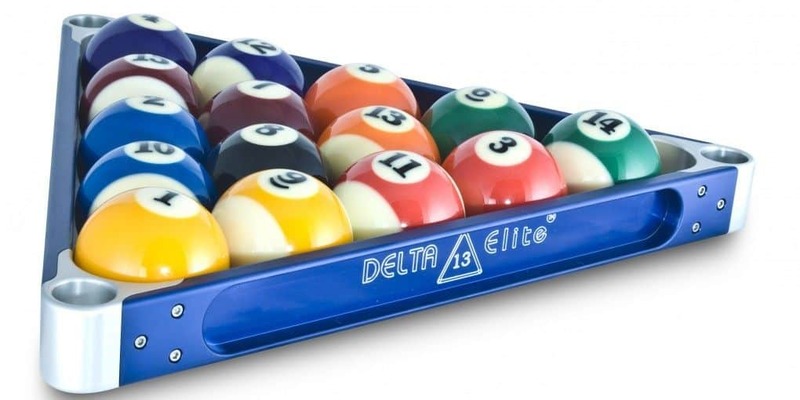 These pool ball set is specifically made for a specific billiard team. The first step is finding a manufacturer who can customize pool balls in the way you’re looking for. We recommend doing a simple Google search for this and browsing through a few of the companies on the first page. 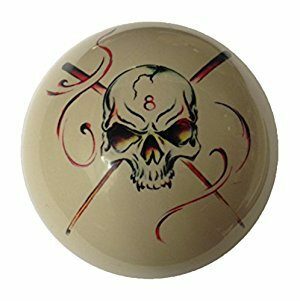 Remember, make sure the manufacturer allows you to preview your custom pool balls before ordering - if they don’t, you may end up getting something you don’t like. If you’re getting the set for yourself, think about what you’d like to see every time you play pool. Pictures that makes you smile? Really think about it - most likely, you’ll be using the set you order for a while. If you’re getting the set for someone else, ask those same questions relating to who will be receiving the gift - and maybe even “feel out” the idea before you commit to a full set. (A pool player will never play with balls he doesn’t like). A pool player will never play with balls he doesn’t like. Finally, if you’re buying the set for some sort of commercial establishment, think what would mesh well with the rest of the atmosphere. For example, if you’re a sports bar, logos of your city’s professional teams wouldn’t be a bad choice. On the other hand, if you’re getting the balls for a classy pool hall, you may want to go with a simpler, more elegant look. Use our ideas above to get you started, make sure you can see your customizations before placing the order, and once everything looks perfect, make the purchase! You’ll be playing with your custom set in no time, and your game will thank you as a result of it. Good luck!